Free Shipping Included! 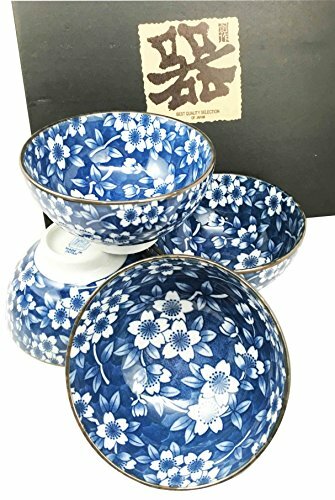 Made in Japan Blue Multi Pattern Glazed Ceramic Rice Meal Soup Dining Bowl Set 4.5'' Diameter Serves Four Great Gift Housewarming Asian Living Home Decor Kitchen Accessory Serving Dishware by Gifts & Decors at Foom App. MPN: unknown. Hurry! Limited time offer. Offer valid only while supplies last. Each of these beautiful glazed ceramic bowls are made with superior quality in mind. They are packaged beautifully in the black box as pictured. Measurements: Bowl diameter 4.5" and 2.5 tall. This set is made in Japan. If you have any questions about this product by Gifts & Decors, contact us by completing and submitting the form below. If you are looking for a specif part number, please include it with your message.